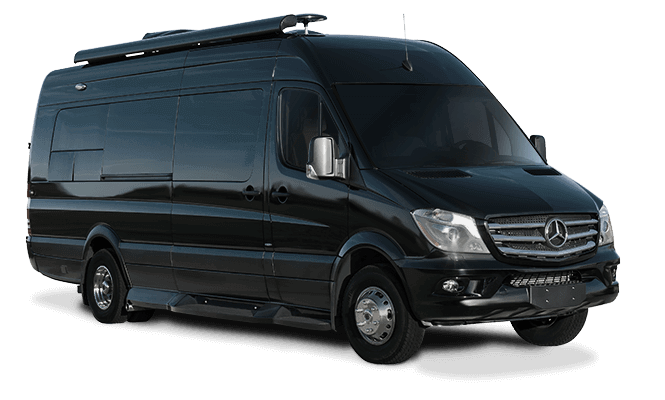 The American Coach pioneering spirit takes us to the Oregon-California border, where bald eagles in Klamath Basin flock here conspicuously in the hundreds — an awe-inspiring sight that brings one of America’s most iconic symbols of freedom to life. In fact, Klamath Basin is home to the largest concentration of bald eagles in the lower 48 states, making this one of the best American road trips. These eagles share something in common with the American Eagle luxury motor coach — both are icons, and both are unforgettable, especially once you’ve seen them in person. 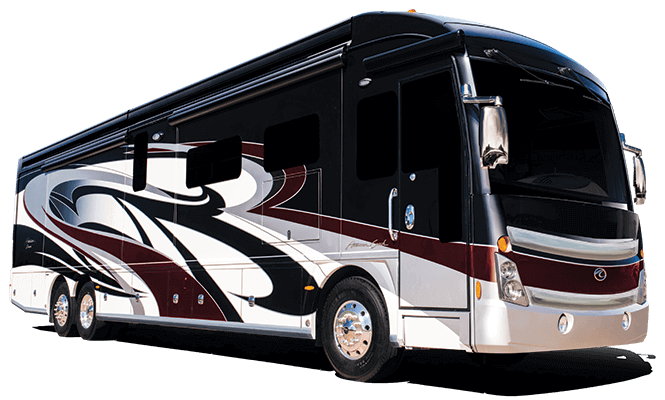 The American Eagle motor coach takes craftsmanship to the highest levels and turns it into a bold and free experience on the highway. 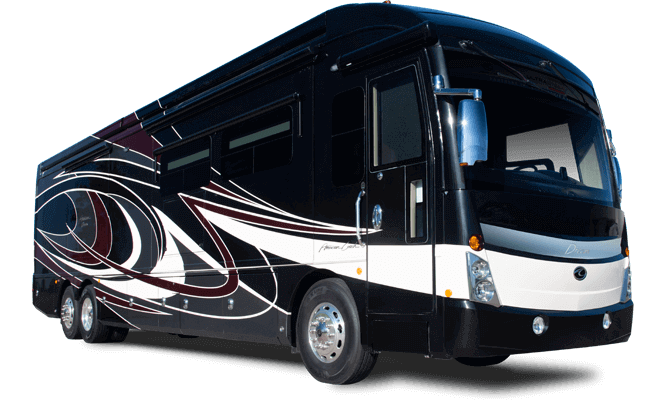 Forty-plus feet from one end to the other, the American Eagle stands out among luxury motor coaches as it roars down the road. Meanwhile, the bald eagle’s white head, piercing eyes and wing-spread of 8 feet, make it the envy of American birds. At the Klamath Basin, you can watch the bald eagles fly in the early morning, search for food in wide-open spaces and sit on everything from telephone poles to center pivot irrigation systems. A full day of exploring is the norm. Even if you don’t know where to look, you’ll most likely see an eagle or two. Maybe even your own. January and February are the best months to see eagles at the Klamath Basin. Sometimes the eagles put on a show attacking ducks at the upper end of the Link River in Klamath Falls, Oregon. A popular attraction is the 4,200-acre Bear Valley National Wildlife Refuge where as many as 300 bald eagles have been counted roosting there in one night. Established by President Theodore Roosevelt in 1908, the Lower Klamath Refuge is the nation’s first waterfowl refuge and includes a marked 10-mile auto tour that allows visitors year-round access to great wildlife viewing opportunities. The Klamath Basin is 15,751 square miles of drainage basin – 35 percent in Oregon and 65 percent in California. Winter is the best time to watch for bald eagles, and they’re typically most active in the morning hours (from sunrise to 11 a.m.). You can see bald eagles anytime in the winter, as long as the river is frozen and there is open water below the dam. The bald eagle is protected by a number of state and federal laws, each with stiff penalties. In fact, it’s illegal to possess an eagle feather, even if you found it lying on the ground. So just be certain to enjoy your eagle sighting from a quiet, respectful distance. Speaking of which, binoculars and telescopes are favorite eagle watching tools. Study the tops of the tallest trees on both sides of a river, and you’ll likely spot a white spot, the snowy head of a motionless eagle. If you see an eagle with a 7- to 8-foot wingspan, it’s probably a full-grown adult. Klamath Falls, Oregon, is located in Klamath Basin. It is about 1.5 hours away from Interstate 5 along OR-66 from Ashland. From I-5, OR-66 is accessed at Exit 14. If you’re coming from California, exit at U.S. Highway 97 from Weed, California, at Exit 747 and continue northward on U.S. Highway 97, which runs straight through the city and continues north to Bend, Oregon (passing by Crater Lake). You can’t get any closer to your coach site from Klamath Basin than Lake of the Woods Mountain Lodge & Resort, which is located in Klamath Falls. Surrounded by more wilderness, you’ll continue to stay in touch with Mother Nature. Activities include fishing, hiking, canoeing, paddle boats and summer lodge dining. Nearby, you’ll find championship golf. For more information, call 1-866-201-4194 or visit lakeofthewoodsresort.com/rvs/.